I haven’t talked about TV shows yet this fall, have I? Right now during NaNoWriMo, TV is exactly the kind of vice I’ve been struggling with as it kills my writing time. But I just can’t help it. Here’s what I’ve been watching (or not, as the case may be). 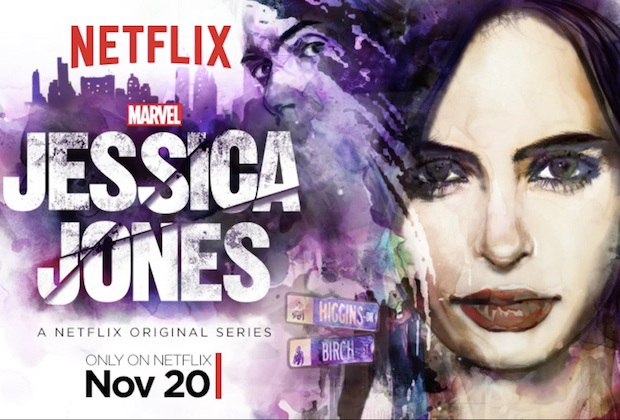 Jessica Jones (Netflix): Because Marvel likes to torture all of us who are doing NaNoWriMo. This show came out a week ago and I’m halfway through right now. I think it is technically even better than Daredevil, though I’m not finding it quite as enjoyable (I think it’s the lack of fight scenes). I especially like its treatment of mental illness, abusive relationships, and addiction (both literally and in metaphor), as well as the fact that it has TWO female lead characters, giving us a perspective that Marvel’s never really done before. 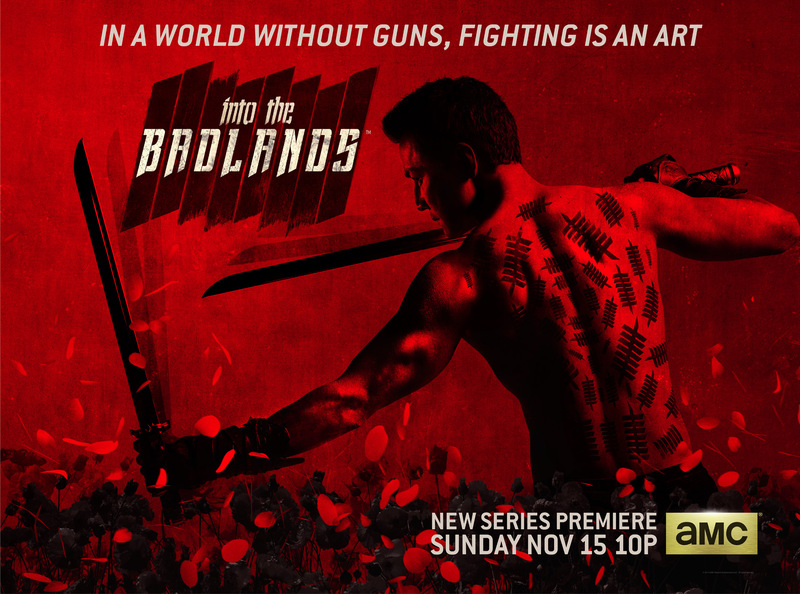 Into the Badlands (AMC): Here’s how I’m getting my fight scene fix. This is an actual, legit martial arts TV show. Plus it airs after The Walking Dead, so you can just stick around. We’re 2 episodes into this 6-episode season, and I felt the second episode improved on the first (which was mostly just set up). The characters are still a bit flat, but the show makes up for it by being stylish as hell. The design is great and the fight choreography is lovely. Plus we get an Asian-American male lead (Daniel Wu), with a non-white girlfriend no less. I’m kind of in love with his character Sonny; he has these amazing, subtle facial expressions. Supergirl (CBS): Not the world’s greatest show, but I’m liking it well enough so far. Melissa Benoist makes an adorable Supergirl/Kara Danvers, and I’d watch anything with Mehcad Brooks, who plays Jimmy Olsen…I mean James. I’m kind of used to Kara being the cool girl and Jimmy being the dork but the show interestingly switches that around. The writing and characters have been ok so far, leaning a bit too heavily on a villain-of-the-week structure. I did really enjoy their take on DCAU character Livewire in the 4th episode. I just finished watching the previous seasons of these shows, which were great. Everything from the crossovers to Gorilla Grodd was squee-inducing. The Flash finale actually made me cry a little. Even Laurel has improved. I just wish they would give Felicity something more to do, and decide on a pronunciation for “Ra’s.” In any case, I have the current seasons waiting on my DVR, and I can’t wait to start! 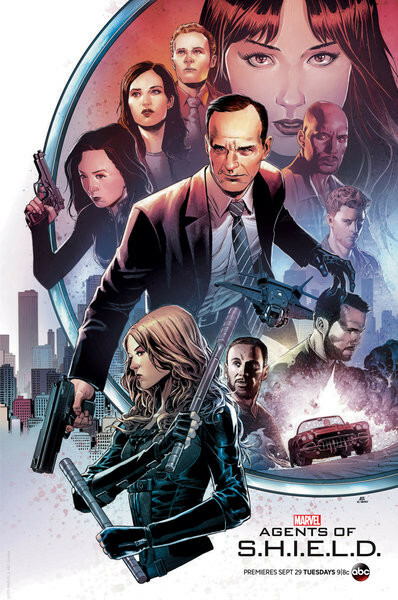 Agents of SHIELD (ABC): Same deal. This show has the best posters. Last season was quite enjoyable, and I have this season waiting for me on the DVR. It seems like there will be a focus on the Inhumans, so we’ll see how that’s going to mix in with the rest of the MCU and the upcoming movie of that name. I was willing to give this season a try for Merida, but I watched a couple episodes and kinda lost interest. I might catch up when it gets to Netflix or something, but I’m not really in a hurry. I watched about half of the first season, and while I enjoyed it for what it was, it wasn’t good enough for me to keep going on a regular basis. And it seems like every week it just gets crazier. The Expanse (SyFy): Episode 1 is up online! This show is an adaptation of a great space opera book series; the first is called Leviathan Wakes. I’m excited for real sci-fi back on the SyFy channel. I’ve heard good things about the pilot and I’m planning to watch it online this weekend; the show premieres on TV December 14. Legends of Tomorrow (CW): Coming next year. 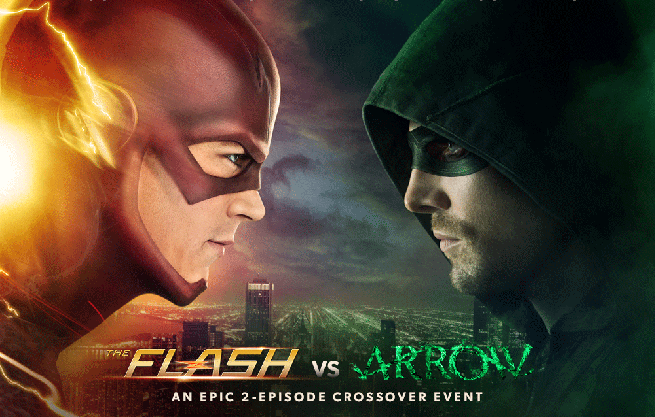 After last season of Flash and Arrow, how could I not be excited for this? I know the current seasons are busy setting up for this show, introducing Hawkgirl, etc., and they just released a trailer that looks amazing. The characters! The special effects! IT’S LIKE A MINI JUSTICE LEAGUE ON TV AND I’M SO EXCITED. Ahem. Anyways, it premieres January 21.